Howard McGillin – Never Been Younger! Howard to perform at Birdland Jazz Club & Birdland Theater. April 22, 2019 • 7 p.m.
A trip to the musical fountain of youth with Broadway’s king of the long runs. Howard McGillin immerses you in the healing waters of the American songbook accompanied by his long-time music director Joseph Thalken. You’ll leave feeling refreshed by his dazzling versions of your Broadway favorites. Bring a senior citizen! Cabaret 88 series starring Howard McGillin. The cast will be led by 12-year-old Sarah McKinley Austin in the title role with two-time Tony nominee Howard McGillin as her father, three-time Tony nominee Carolee Carmello as Aunt Louise, Drama Desk winner Andréa Burns as musical comedy star Mary Ethel Bernadette, Tony nominee David Garrison as producer Bernie S. Gerry, and Tony nominee Michael Mulheren as director Hal Hitner. This concert will feature a selection of the best songs from Andrew Lloyd Webber's works performed by Howard McGillin, Rebecca Luker, Celinde Schoenmaker and Michael Xavier who were featured in his productions on Broadway and in London's West End. Please come hear these wonderful songs performed on stage by some of the world's finest musical stars at Tokyu Theatre Orb. Saturday, June 9 • 6 p.m. | Sunday, January 10 • 1 p.m.
“New York, New York” … “Make Our Garden Grow” … Bernstein’s music wouldn’t be Bernstein’s songs without the lyrics. Join us for a fascinating inside look at his lyric collaborations. Featured vocals for the evening will be provided by Howard McGillin, Mikaela Bennett, Andréa Burns, Darius de Haas and Tony Yazbeck. Celebrate the most romantic holiday of the year with your loved one on Saturday, February 10, 2018 – and two of Broadway’s greatest performers – Rebecca Luker and Howard McGillin, under the direction of composer Steven Lutvak. Tickets are $110/person for Conservancy members and $125/person for non-members. Beginning at 7 p.m., the evening includes cocktails, dinner, concert, and dessert with the artists. Limited VIP Tickets are $250/person and include a special 6 – 7 p.m. cocktail reception and moderated Q & A with the artists in the beautiful mezzanine-level Morning Room, followed by dinner, concert, and dessert. The American Theatre Wing is thrilled to announce that Natalie Cortez, Gavin Creel, Santino Fontana, Heather Headley, Norm Lewis, Rebecca Luker, Beth Malone, Howard McGillin, Brian Stokes Mitchell, Laura Osnes, and Taylor Trensch will perform at its annual Gala on Monday, September 18, 2017 at Cipriani 42nd Street (110 East 42nd Street). 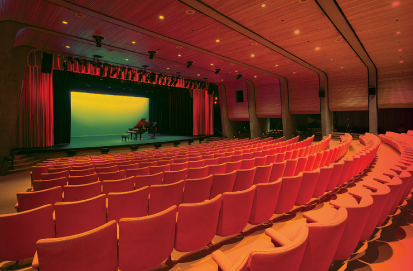 The Centennial Gala will celebrate the power of musical theater in American life over the past 100 years. The evening includes cocktails, dinner, and performances. For tickets and more information, please contact Jeremiah Hernandez by calling (212) 765.0606 or emailing gala@thewing.org. 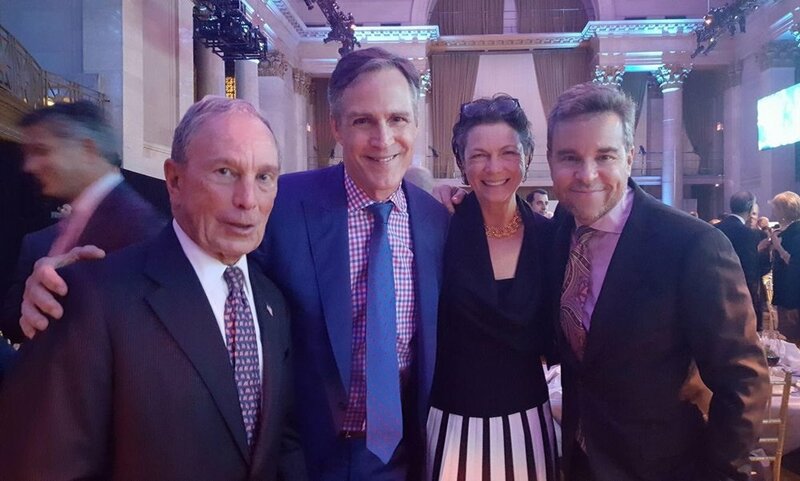 Former Mayor Bloomberg, Howard, Diana Taylor and Richard Samson. The event raised about $3 million and drew more than 1,000 guests to Cipriani Wall Street to support the memorial and museum, which remember and honor the 2,983 victims who died in the attacks of Sept. 11, 2001, and Feb. 26, 1993. The memorial and museum’s chairman is Michael R. Bloomberg, founder and CEO of Bloomberg LP, the parent of Bloomberg News. Featuring performances by: Nancy Anderson, Len Cariou, Michael Cerveris, Melissa Errico, Mark Evans, Danielle Ferland, Malcolm Gets, Ken Jennings, Jeremy Jordan, Donna Kane, Rebecca Luker, Howard McGillin, Ciaran Sheehan, Ryan Silverman, Max Von Essen and special surprise guests! The lead-up to the Tony Awards, set for June 11, is filled with luncheons, cocktails, and various photo ops. This in addition to the eight shows a week often required of those whose productions are still being staged. The show must go on, as they say, and the last big hurrah is the Tony Honors Cocktail Party, held Monday at the Sofitel hotel in New York. As part of this special recognition, Judy McLane and Howard McGillin performed a song from Chess (“Someone Else’s Story”) and The Phantom of the Opera (“The Music of the Night”), respectively. By the end of the last ballad, several could be seen wiping tears, including Dear Evan Hansen’s Tony–nominated actress Rachel Bay Jones. 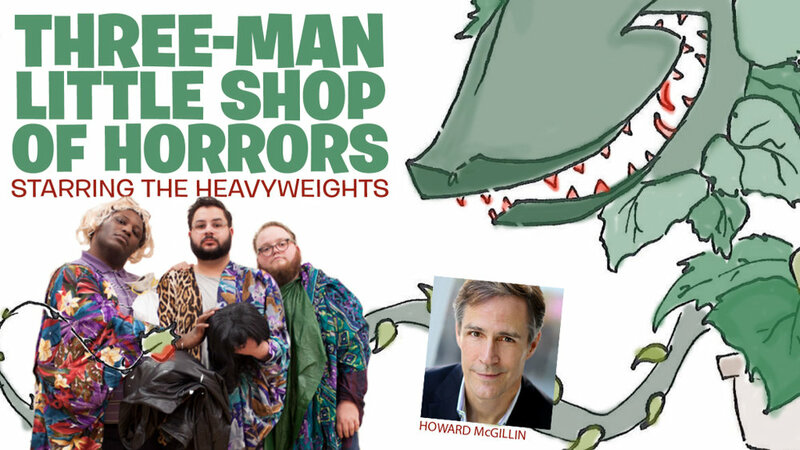 Join Howard McGillin along with many other Broadway talent on the High Seas. The best of the Caribbean awaits you in St. Maarten, St. Kitts, St. John's, St. Barts, St. Thomas and more, while celebrating the BEST OF BROADWAY onboard Silversea's luxurious 294-guest Silver Wind private charter. Join Howard McGillin again in this year's 2017 New Years Musical Concert with such numbers as "Tonight" from West Side Story, "Over the Rainbow" from The Wizard of Oz, "Shall We Dance?" from The King and I, “The Sound of Music” from The Sound of Music, "Memory" from Cats and more memorable Broadway songs to be performed at Tokyu Theatre Orb (Shibuya Hikarie 11th floor). Saturday, January 7 • 6 p.m.
Sunday, January 8 • 2 p.m.
Monday, January 9 • 2 p.m.
Acclaimed director Michael Arden’s innovative new production will feature two pianos and fifteen actors who will bring the classic story to life in ways you’ve never seen before. One of the greatest musicals of time, with a magnificent score featuring the beloved songs “I Could Have Danced All Night,” “Wouldn’t It be Loverly” and “On the Street Where You Live,” this Fair Lady is a perfect musical for the whole family. To purchase tickets of for more information visit Bay Street Theater. 54 Below welcomes back Broadway’s beloved leading man Howard McGillin. Wednesday, May 11, 2016 at 7 p.m.
Jewish Family Service of the Desert (JFS) presents a Michael Childers’ Production of One Night Only. In “Sondheim in Love”, Michael spotlights some of the most romantic works of legendary Broadway composer Stephen Sondheim. This year’s production will be directed by the incomparable Lucie Arnaz. Featuring Howard McGillin, Christine Andreas, Liz Callaway and including many more of the best of Broadway and Hollywood performers. McCallum Theatre • Wednesday, April 20, 2016 • 6:30 p.m.
McCallumTheatre.com or call (866) 889-2787. The British are coming! The Madison Theatre presents a musical POPS Concert featuring some of the greatest hits from British Broadway Musicals. Starring Broadway stars Liz Callaway, Scott Logsdon and Howard McGillin, as well as performers from the Molloy College’s CAP21 (Collaborates Arts Project) program, accompanied by the Children’s Orchestra Society. Proceeds will go to benefit the Joan Roberts Memorial Scholarship. The Madison Theatre • Sunday, April 10, 2016 • 3 p.m.
Sunday, March 20th on The Good Wife watch Howard McGillin play the character, Lloyd Garber, in the episode "Shoot". Look for Garber to recur later this season. Starring Howard McGillin, Laura Osnes, Robert Marien & Matt Laurent. Such numbers as "Shall We Dance?" from The King and I, "Over the Rainbow" from The Wizard of Oz, "Tonight" from West Side Story, "Memory" from Cats and more memorable Broadway songs to be performed at Tokyu Theatre Orb (Shibuya Hikarie 11th floor). Saturday, January 9 • 6 p.m.
Sunday, January 10 • 2 p.m.
Monday, January 11 • 2 p.m.
Victoria Clark, Jessica Fontana, Hunter Ryan Herdlicka, Howard McGillin, Mary Beth Peil, Sherie Rene Scott, Allyson Tucker, Derrick Baskin, Joe Carroll, Corey Cott, Brian Cross, Chris Houlihan, Andrea Jones, Erin Mackey, Alexandra Silber, Daniel J. Watts and Betsy Wolfe (along with singer-songwriters Jane Kelly Williams and Shaina Taub) are scheduled to perform. The evening, which raises funds for much-needed repairs for the historic Church of St. Paul and St. Andrew, will be filled with song, poetry and jubilee. The benefit is produced by Gina Boonshoft and directed by Barbara Grecki. The musical director is Matt Aument. The church is located at 263 W. 86th Street (at Broadway). For more information call (212) 362-3179 or click here. Tickets are priced $20-$250. Cocktails & Hors d'oeuvres • 6-7:30 p.m.
Coffee & Dessert Bar • 9:30- 11 p.m.
*Please contact lsorio@ccfa.org or call 646-388-9287 about ad and donation opportunities. BROADWAY BARKS announces their 17th annual star-studded dog and cat adoption event to benefit New York City animal shelters and adoption agencies. Founded by Bernadette Peters and Mary Tyler Moore, this event features celebrities from the hottest shows on Broadway. A night of dinner and music with the chance to bid on your favorite stars singing the karaoke hit of your choice. Proceeds go to The Center for Reproductive Rights. FEATURING Patti LuPone, Howard McGillin, Tonya Pinkins, Lena Hall, Montego Glover, Jesse Tyler Ferguson, Katie Finneran, Rebecca Luker, Brooks Ashmanskas, Jessica Vosk And special guests … Hosted by A is For founder Martha Plimpton, this is a night you won’t want to miss. *Premium Seating includes post-show reception and photo op with performers.